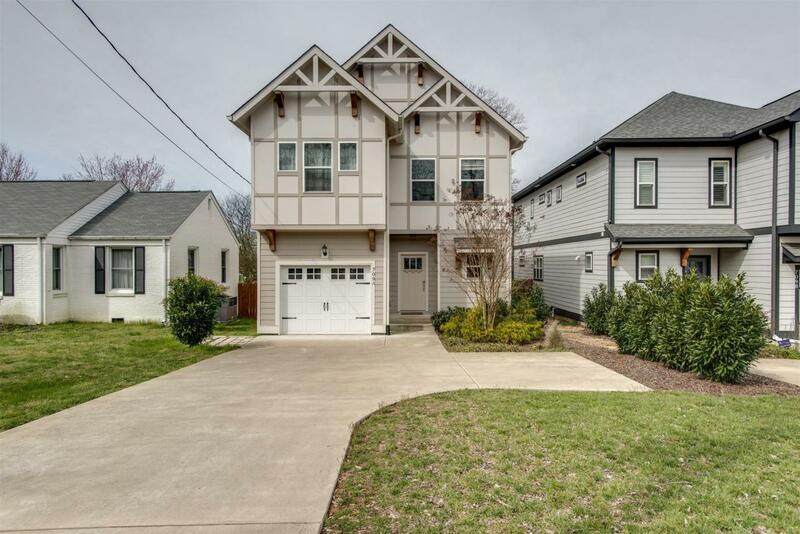 Don't miss this bright like-new Tudor-inspired East Nashville beauty. This detached 3 bedroom/2.5 bath features rich hardwoods, granite countertops, gas stove, SS appliances, spacious master bath with rain shower head, low-maintenance yard with seasonal downtown views (sunsets too), tons of storage, attached garage, tankless water heater, and 2 flex/bonus spaces (1 up, 1 down). Currently Airbnb permitted. Steps from E. Nash staples like Rosepepper, Jeni's, and Portland Brew. Properties marked with the IDX logo are provided courtesy of the RealTracs Internet Data Exchange Program. Some or all of the listings may not belong to the firm whose website is being visited (The Easling Team at Keller Williams Realty, 615-778-1818). IDX information © 2019 MTRMLS, Inc. Information is believed to be accurate but not guaranteed by the MLS or The Easling Team at Keller Williams Realty. IDX information is provided exclusively for consumers' personal, non-commercial use and may not be used for any purpose other than to identify prospective properties consumers may be interested in purchasing. Data last updated 2019-04-25T00:05:05.547. The Easling Team at Keller Williams Realty is Middle TN's most innovative real estate team.